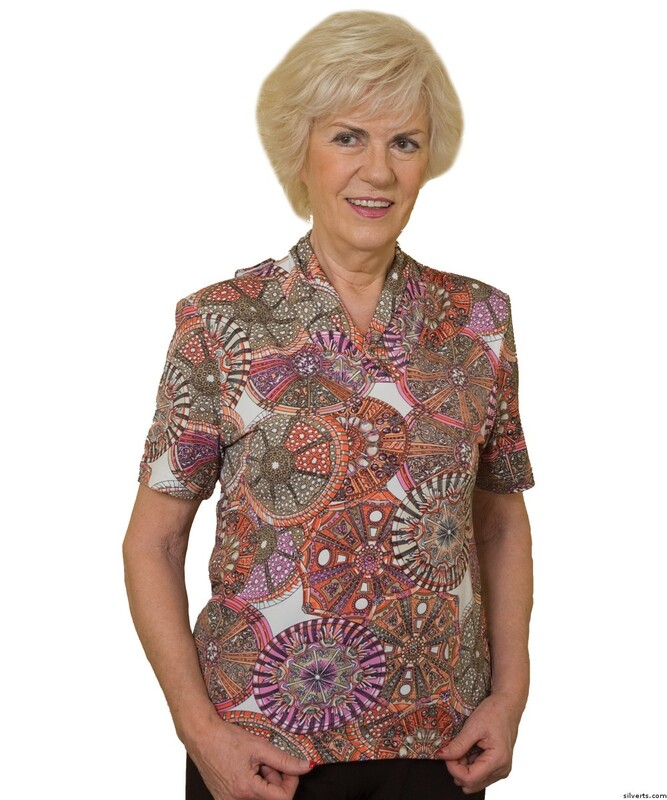 "Pretty in Print Womens Open Back Top. 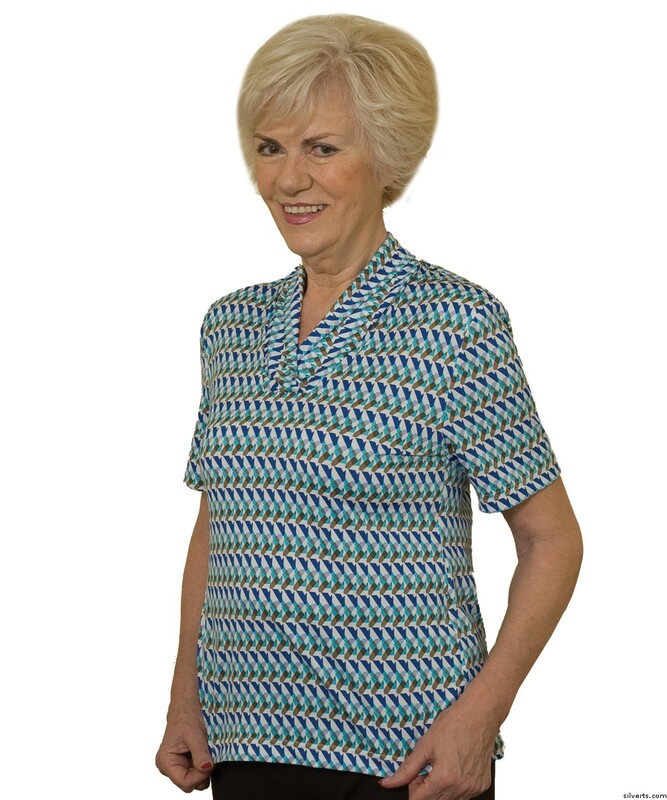 The shawl neckline and draping cut are so flattering. Full back overlap with two snaps at shoulders,one snap at neck. 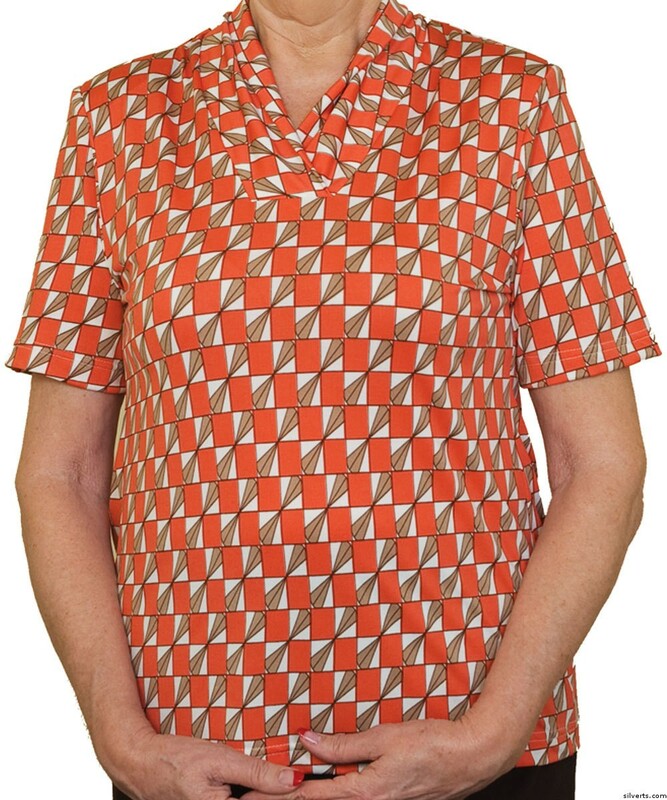 Silky polyester blend. 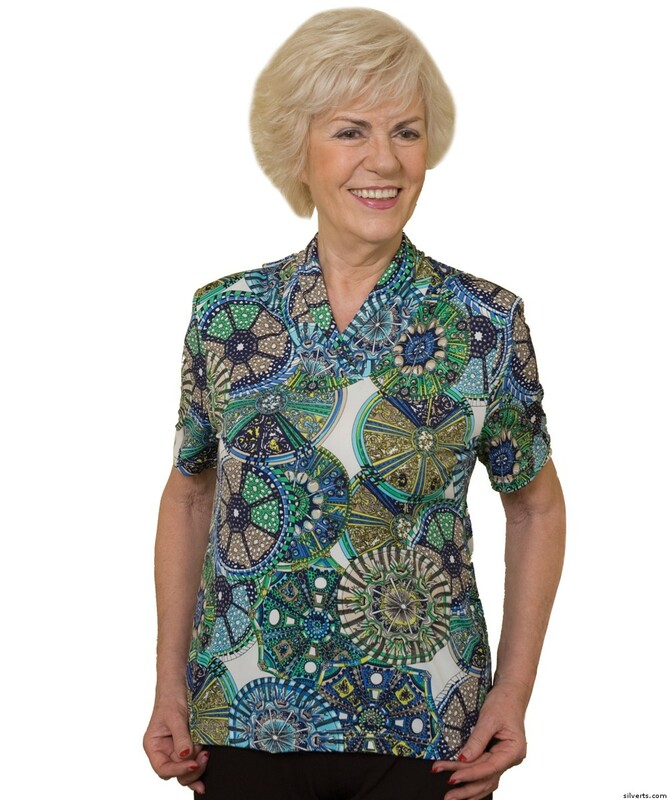 This adaptive clothing top for women completely opens up, allowing the individuals arms to be slid into the garment sleeves without ever having to raise/lower their arms or struggle with small neck openings. The back overlap is then folded over and domed/snapped into place. The snap domes are placed on the shoulders to avoid pressure points. 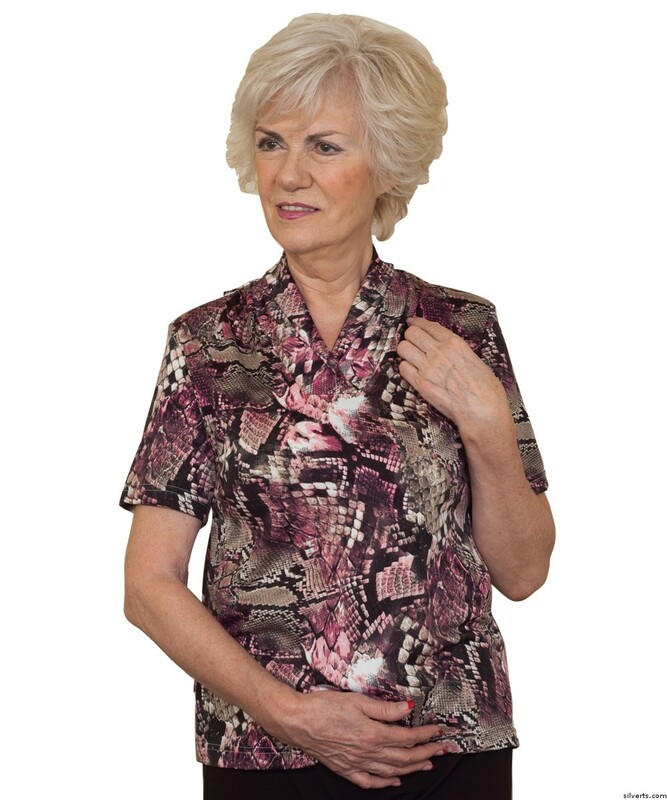 This women's adaptive top is terrific for home care and nursing home residents.Womens Adaptive Top Sizing:S (6-10) M (12-16) L (18-20) XL (20 1/2-24 1/2) 2XL (26 1/2) 3XL (28 1/2) "